1 Revellers put grease on their bodies as they take part in the annual Cascamorras festival in Baza, southern Spain, September 6, 2018. The festival was inspired by a dispute between the town of Baza and Guadix over the possession of an icon of the Virgin of Piedad. The Cascamorras refers to representatives from Guadix, who were sent to Baza to recover the statue. As the Cascamorras had to stay perfectly clean to gain possession of the statue, Baza residents attempt to make them as 'dirty' as possible. 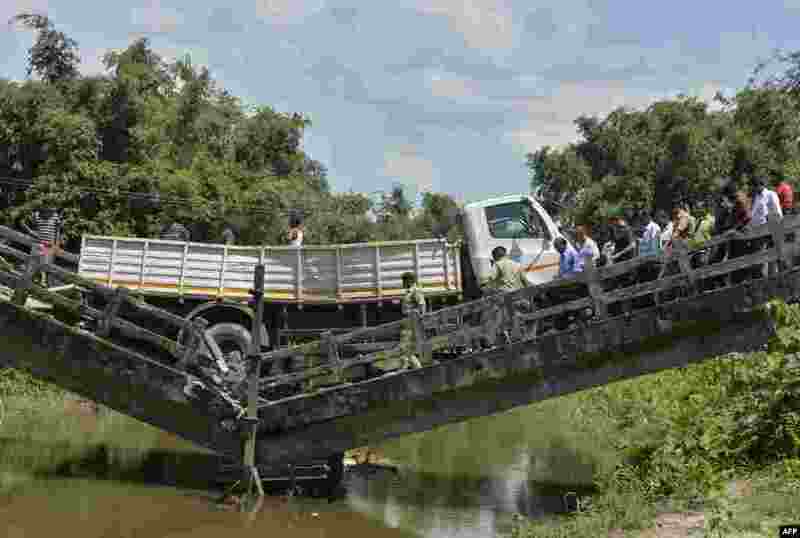 2 Indian rescue workers and villagers gather near a collapsed bridge in Phasidewa village near the India-Bangladesh border on the outskirts of Siliguri in the Indian state of West Bengal. No casualties were reported in the collapse. 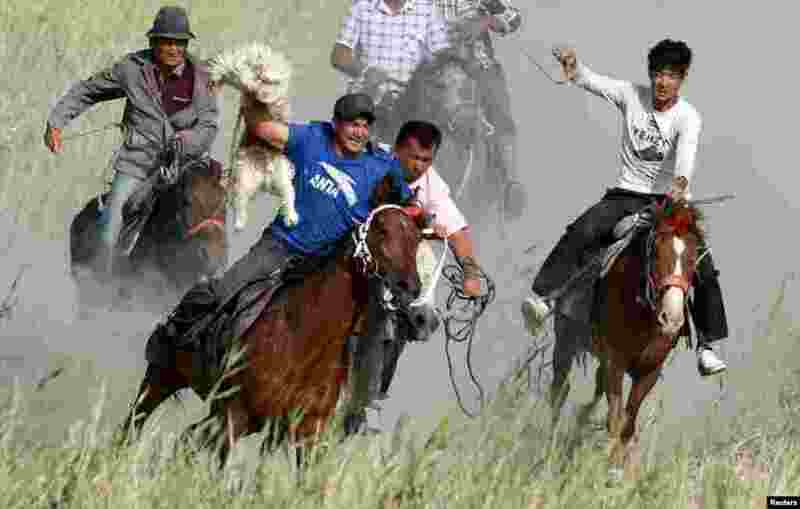 3 Participants ride horses as they compete for a goat carcass during a Buzkashi game in Bayingol, Xinjiang Uighur Autonomous Region, China September 6, 2018. 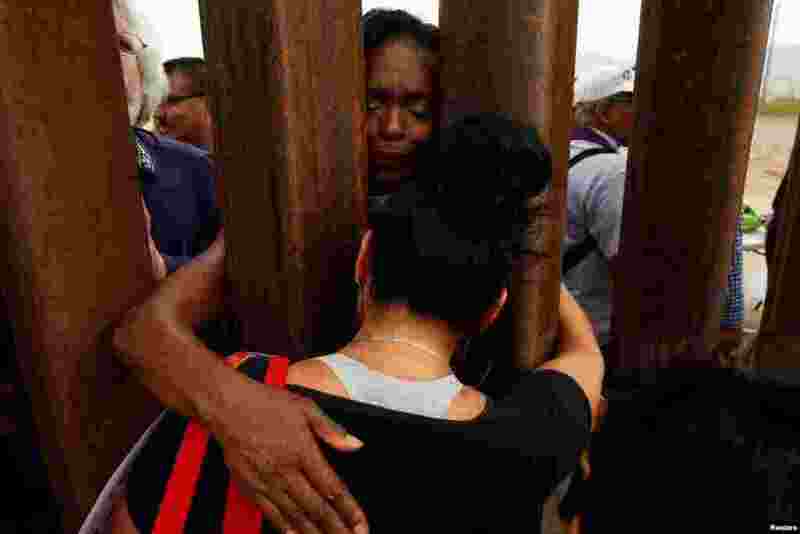 4 Women embrace through the border fence during the "Interfaith Service for Justice and Mercy at the Border" to demand the U.S. government to end the separation of immigrant children from their parents at the border, in Ciudad Juarez, Mexico.